January | 2016 | Home: Free Sociology! Metro Vancouver is a great source of data. I’ve put together this little figure drawing upon their net migration dataset from 1996-2013* to get a sense of how different components of net migration influence the region. Obviously, the overwhelming driver of growth for Metro Vancouver comes from international migration, and it has for some time. Vancouver is a gateway metropolis into Canada. By contrast, net provincial migration rises above and falls below zero like the tides (perhaps in response to the fortunes of oil next door). Net intraprovincial migration is consistently negative. More people leave for other parts of BC than arrive from the rest of the province. On the face of it, this seems consistent with the gateway story. Immigrants flood into Metro Vancouver, from whence people gradually trickle outward to the rest of the province. But this kind of data has also been used (especially when it works in conjunction with the outward tide of interprovincial migration) to suggest that unaffordability in Vancouver, particularly of single family houses, is driving everyone away. More often, the stories are anecdotal: a doctor leaves in a huff ; a public relations professional moves to Squamish; a Calgary management consultant refuses an offer to move to Vancouver. But sometimes arguments are made, and vague statistics leveraged, suggesting that housing prices are pushing everyone out of Vancouver. Taking all forms of migration together, that story simply doesn’t work. Quite obviously, too many people are still coming in to Vancouver to claim that everyone is being pushed out. But there is another kind of story that can be told: housing prices (or other forces), linked perhaps to particular lifestyles or standards of living, are pushing some types of people away. Professional people. Entrepreneurial people. Young people. People with kids. People from the area. People who aren’t immigrants. Housing prices and rents really are very, very high. And some of these stories may even be true (though I suspect most aren’t). One way or another, I hope to look into many of them in the future (consider this part I). But for now it’s worth noting that any story focusing on the loss of some types of movers and migrants runs the risk of implicitly or explicitly devaluing the many others who keep arriving. *- yearly data compiled from BC Stats and Statistics Canada data, including immigration records and use of tax records to estimate intra and interprovincial migration, which is kind of neat! There will be a talk by Dr. Hazel Easthope on “Renewing the Compact City: Lessons for the renewal of multi-unit housing” at the Allard Law School (room 122), Feb 9th, 12.30-13.30. Much of it will be about what to do with strata (condo) properties at the end of their “natural” lives. In this seminar, Dr Hazel Easthope will present findings from a two-year research study of strata scheme termination and renewal in Greater Metropolitan Sydney (in the state of New South Wales, Australia). This study outlined the tensions arising from the conflicting interests of the multiple stakeholders involved including tenants, owners, developers, bankers and property managers. The research used innovative methods to examine how best to deliver outcomes that are both economically viable and socially sustainable in the context of private-sector driven housing development. Of special note, given my earlier posting, here too we see research being transformed into new legislation. The outcomes of this research informed details of the legislation that was passed in New South Wales at the end of 2015 and that will come into effect in July 2016. This legislation, which includes provision to terminate a strata scheme with the approval of 75% of all owners, has some striking similarities with that proposed for British Columbia. Great stuff. Click here, or above, for more information. PhDs are for getting jobs as tenure-track professors, of course! Or at least it might seem that way from recent coverage of a study that appears to be ALMOST out from the Higher Education Quality Council of Ontario (HEQCO). The Globe & Mail reports on the study results, demonstrating that PhDs really ARE finding tenure track jobs! One third of the PhDs produced in Ontario appear to have gone on to tenure-track jobs, with half of those jobs at Canadian institutions. This is presented as a substantially improved outcome relative to past reporting (from the Conference Board of Canada) that less than 20% of Canadian PhD holders have full-time faculty jobs in Canada (see also here). It’s notable that these reports, despite different methods, seem to be telling us roughly the same thing (half of one third is a little less than 20%). You can still get a tenure-track job with a Canadian PhD, but there’s no guarantee, and your best offer (or your only offer) might not be in Canada. Of note, we just began keeping track of our recent Sociology PhD placements at UBC. The results from these cohorts aren’t fully in yet (we have a lot of postdoctoral placements! ), nevertheless I suspect we’re doing better than average. Still the lessons are broadly similar. You can get a tenure-track job with a Canadian PhD, only it might not be in Canada. But are tenure-track jobs the only thing worth getting a PhD for? When I smugly note “we’re doing better than average,” that’s what I’m implying. And evidence compiled within a different HEQCO report suggests that 65% of all PhDs (and 86% of Humanities PhDs) “pursued their degree with the intention of becoming a university professor.” (p. 16). It seems clear, both from these kind of survey results and from anecdotal evidence, that we tend to socialize PhDs to value tenure-track faculty jobs. If most of those getting their PhDs want a faculty job but aren’t getting one, are we – the keepers of PhD programs – failing them? If so, how so? Are we failing them 1. by admitting them? 2. by how we socialize them toward a singular professional goal? Or 3. by our inability to effectively advocate for an expanded higher education system able to accommodate that goal? I suppose I’m leaning toward the overlooked middle child of these possible answers. I’d like to see more PhDs out in the world beyond academia. So I guess I should set all professional smugness aside and start working harder to publicly celebrate all of those clever PhDs who manage to break free. Fortunately we have some great examples from UBC, and several of our recent PhDs have gone on to exciting work as Research Scientists, Public Educators, and Directors at Non-Profits. To you, I say, well done! I’m slow to the game on this. Probably because I don’t yet quite get the twitter. But I noticed, via a big billboard near Commercial and Broadway, that the #DontHave1Million phenomenon (?) campaign (?) movement (?) hashtag thing in Vancouver has now been joined by the #DontNeed1Million hashtag thing, which is more clearly an advertising campaign. Evelyn Xia, who began the #DontHave1Million hashtag thing, credits another story, about doctors leaving over the unaffordability of Vancouver housing, for her politicization. There’s a wonderful little experiment now under way that puts to the test our ability, as academics, to build policies. 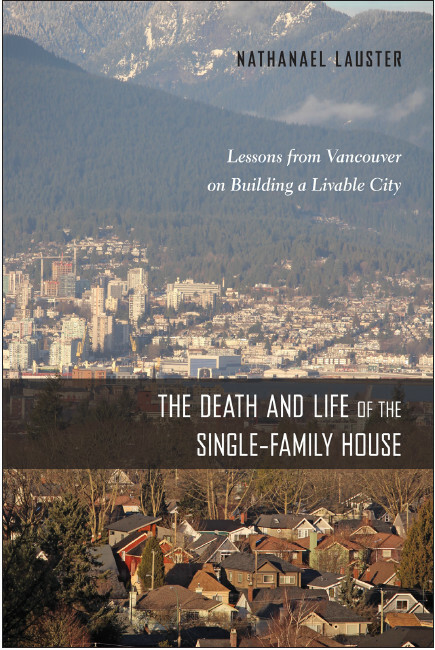 A small collection of UBC and SFU economists is now promoting the BC Housing Affordability Fund, connected to a modest property tax levied against vacant housing. The basic idea behind the policy itself is two-fold: 1) reduce the role of rampant speculation and tax avoidance on local real estate markets – especially across the Lower Mainland, and 2) start gathering data linking properties to vacancies and taxes paid into local economies. The full proposal, in all its two glorious pages, can be found here, (the third page is just the signatories). There’s also a supporting website. It’s pretty! Those business school people really know how to sell a policy! Which is mostly what I want to note here. Hopefully I’ll have more to say about the plan itself soon, and I’ll be tracking its progress as carefully as I can (it appears its authors will be doing the same!). But in the meantime, I want to draw attention to what sociologists can learn from this crew. We, too, can work toward building things. Too often we offer criticism rather than construction. We tear apart rather than construct. What would it look like if sociologists (and all our kin) more regularly engaged in building things? I have in mind new regulations, policies, tools, and standards. (But no need to stop there: I’ve got one of my classes working on constructing buildings for me too). Early sociologists, like Jane Addams (yes, I’m claiming her), clearly had this sort of work in mind. Could it work? If we built it, would they come? Good question. It’s one of the reasons I’ll be watching what happens with the BC Housing Affordability Fund proposal with great interest.